Harmonize harmful EMF radiation from wireless devices; mobiles, tablets, computers etc. Retune the radiation and relieve the effects of electro-stress. Continuous powerful natural energy support to boost your energy levels. Strengthen and optimizes your energy field all day every day. Stick to your wireless items, priorities: mobile phones, Wi-Fi, cordless phones, tablets, baby monitors etc. 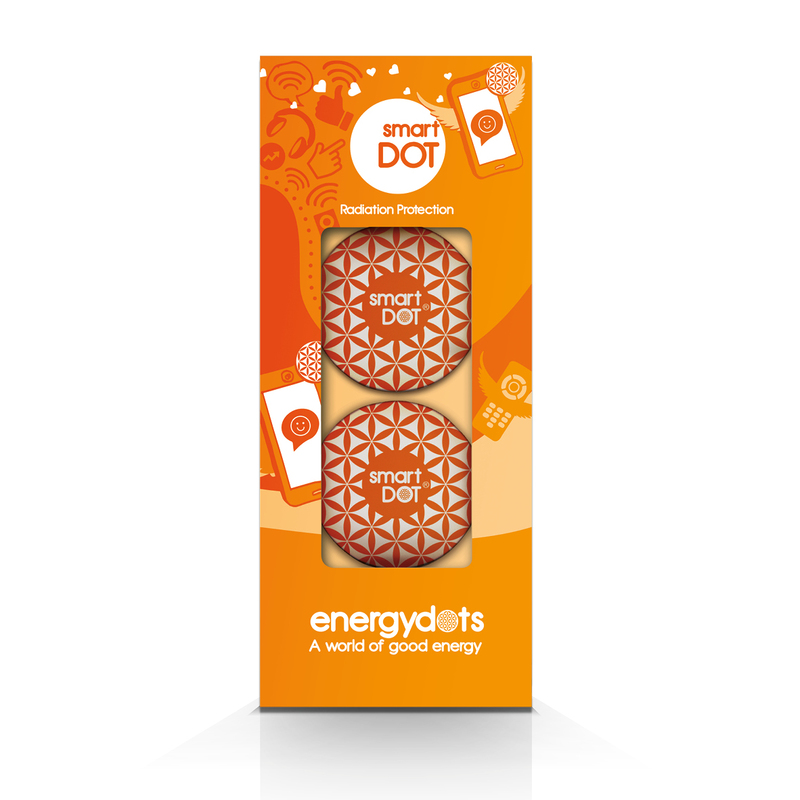 Duo pack, Two smartDOTs as we all have many gadgets which need a smart dot. smartDOT is programmed to harmonize or retune the electromagnetic frequencies from the electronic equipment you use regularly. Each cell in our body acts like an antenna, an extremely sensitive transmitter of electromagnetic radiation; the body will thus ‘pick up’ and react to any such field to which it is exposed. Retune these fields and enable the body to relax. Do you use your mobile phone with reluctance? Are you uncomfortable or do you get tired working on your computer? There is scientific and public concern that our high exposure to electromagnetic radiation could have a detrimental effect on health.